Indian batting maestro and cricketing legend Sachin Tendulkar is the highest run scorer of all time in International cricket. 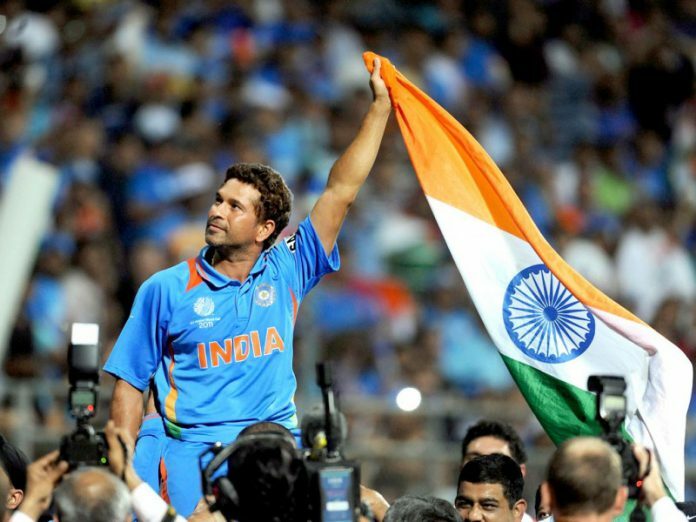 One of the best batsmen in the history of Cricket, Sachin played 664 international cricket matches and scored 34357 runs. Here is a compilation of some interesting facts about the Little Master. 1. Sachin Tendulkar is India’s first active cricketer to be nominated to the Rajya Sabha. 2. As an aspiring fast bowler, a young Sachin Tendulkar was rejected by Dennis Lillee’s MRF Pace Foundation in 1987. 3. During the 1987 World Cup, Sachin was a ball boy for the match between India and Zimbabwe at the Wankhede Stadium. He was 14 then. 4. Sachin Tendulkar fielded for Pakistan as a substitute during a one-day practice match against India at the Brabourne Stadium in 1988. 5. During his early days, Tendulkar would win a coin from his coach Ramakant Achrekar if he could bat through an entire session of nets without being dismissed. Tendulkar has 13 such coins. 6. In October 1995, Sachin became the richest cricketer when he signed a five-year contract worth Rs 31.5 crore with World Tel. 7. Sachin Tendulkar used to sleep with his cricket gear during his junior days. 8. Sachin Tendulkar loves collecting perfumes and watches. 9. Tendulkar’s first car was a Maruti-800. 10. The first brand which Sachin Tendulkar endorsed was the health drink ‘Boost.’ He was seen alongside Kapil Dev in many of their ad films, the start of which happened in 1990.